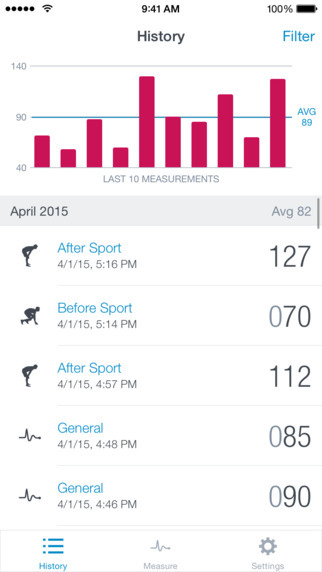 Your favorite heart rate tracking app just got better! Love Runtastic? Rate us with 5 stars & tell others about your experience in the App Store. 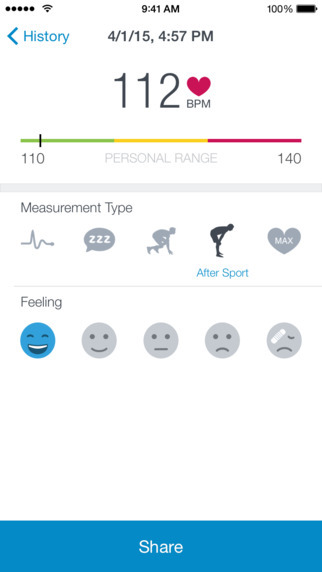 Turn your iPhone into your personal HEART RATE MONITOR - yep, that’s possible! Everyone’s maximum heart rate is different, and also our resting heart rates vary based on our age and training level. Want to know your resting heart rate or find out how fast your heart is beating after a certain fitness activity? Get Runtastic Heart Rate PRO to not only measure your pulse, but also compare different results, receive reminders for regular HR measurements and benefit from an array of additional features. Whether it’s after a hard training session or before your next exam - we show you how fast your heart is beating. No extra devices necessary, all you need is your iPhone. Easy as pie, right? Go PRO today! Your resting heart rate varies depending on your age and training level. A very fit and athletic person has a lower resting HR than someone who’s hardly active. Eager to know if your fitness level has improved? Measure your heart rate on a regular basis and monitor the progress of your resting heart rate. Download the Runtastic Heart Rate PRO App today, check your heart rate regularly and show your friends how cool & calm you remain even when in a seemingly stressful situation! WARNING: This is not a medical product.